Round out your festival experience with an energizing, mid-morning ‘coast-to-coast’ brunch that pushes the boundaries of ordinary breakfast—with Pacific Northwest flair, of course. Break out your red and white attire and come prepared for an evening of unmatched sophistication. Valet parking included. Head out to a local farm to meet individual producers and enjoy a gourmet lunch paired with Washington wines. Complimentary transportation will depart from Filson promptly at 9:45am (check in begins at 9:00am). Bring your boots and dress for the weather! Head out to a local farm to meet individual producers and enjoy a gourmet lunch paired with Washington wines. Complimentary transportation will depart from Filson promptly at 10:00am (check in begins at 9:30am). Bring your boots and dress for the weather! With unexpected moments at every turn, this is your backstage pass to meet and mingle with the chefs and winemakers who are putting Seattle and Washington State on the food and wine heat map. Meet the mavericks who are reshaping the possibilities and taste wines from unexpected terrains that are taking the state's wines to new heights. An epic blind tasting of a selection of the state's finest against some of the greatest wines the world has to offer, alongside the producers who made them. In this seminar, we've assembled a diverse panel of talent to explore the factors that made 2017 such a standout vintage, what makes the state's white wines so unique, and what's next. An esteemed panel of experts will taste you through some classics and explore how Grenache - which makes up many of the great cult wines - presents itself in the state, and around the world. We'll taste Cabs that are at least 10 years old from some of the state's most storied producers, next to the current releases of the same wines at this one-of-a-kind tasting. Join us at Palace Ballroom before the Grand Tasting on Sunday and round out your festival experience with an energizing, mid-morning 'coast-to-coast' brunch. Lexus Late Night ticket includes a ticket to The New Vintage at The Sanctuary and complimentary Lexus Shuttle service from The New Vintage to Salare for a private after party. Join us for an exquisite wine dinner at Canlis hosted by Wine Director Nelson Daquip and Chef Brady Williams. This intimate event offers an insider look at the city's flourishing brunch culture with an energizing, mid-morning meal that pushes the boundaries of ordinary breakfast - with some Pacific Northwest flair, of course. This year, Sunday Brunch will be a 'coast-to-coast' experience as the Boston Red Sox happen to be in town for opening weekend. Brilliant Seattle chef Tom Douglas and a culinary pal from Boston will handcraft a unique bi-coastal brunch menu, and serve it family style with your favorite brunch cocktails at Palace Ballroom. 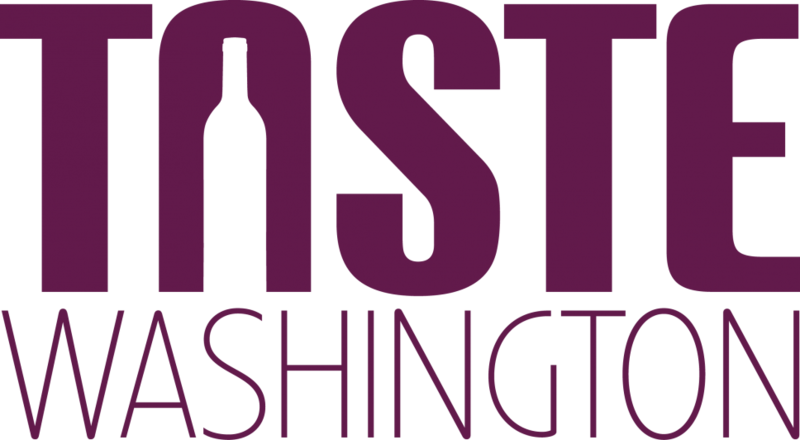 It's just one more reason to raise a glass at Taste Washington.